Comings and goings in the stunt pits during Sunday's Advanced Precision Aerobatics flying at the Jim Walker Memorial. Dane Covey (left) heads to the circle with his Impact, built by Paul Walker, as Tom Brightbill returns Dave Royer's Magnum to the lineup. Flying Lines photo. 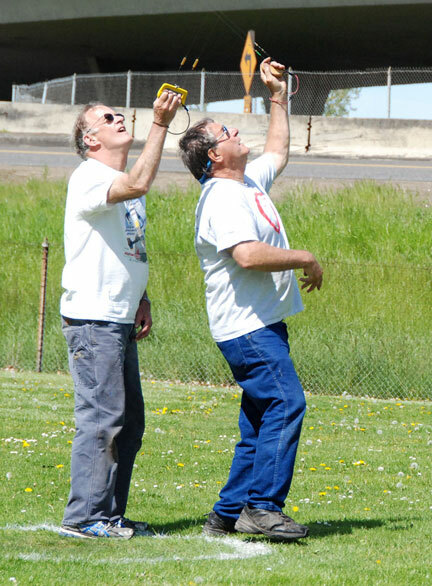 April 15-16-17, Jim Walker Memorial Control-Line Field, East Delta Park, Portland, Ore. 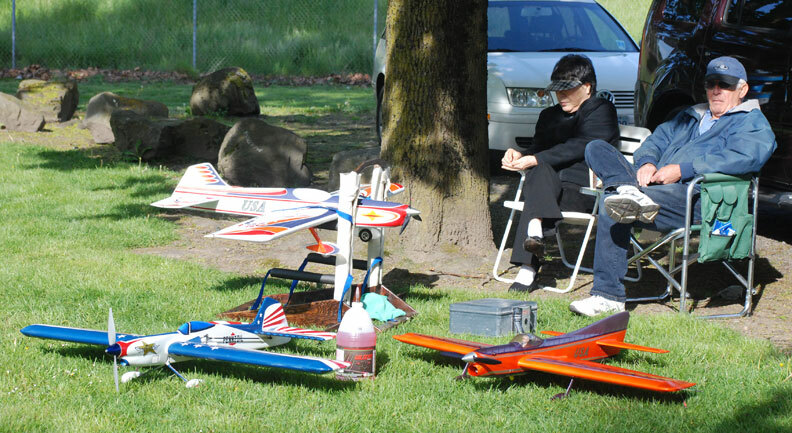 The Northwest Fireballs welcomed Pacific Northwest control-line flyers from Oregon, Washington and British Columbia for a long weekend of rain-free flying days at Delta Park in Portland. Admittedly, we had some pretty high wind gusts on Sunday afternoon, but no airplanes were harmed (by the wind), all canopies were saved and lunch was already over. One calculator was soaked with sweet coffee; no word yet on its survival. Thanks to Robin Gearn for her all-day assistance on Saturday with registration and stunt tabulation. Thanks to all the Northwest Fireballs members, and to those volunteers from outside the club, who made the event a success. 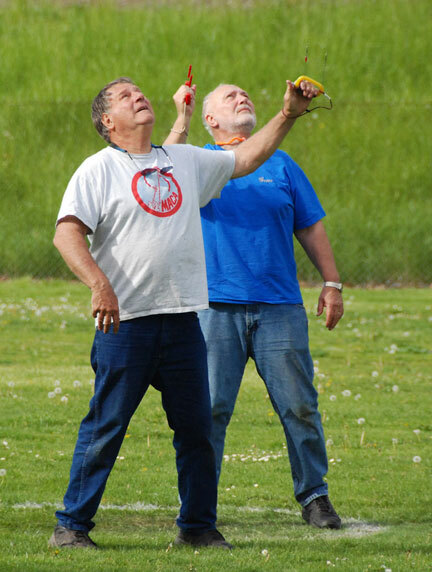 It takes a lot of work (and a few hundred dollars for the flying site), and we are proud of our three-circle season-opening contest. Last, but definitely not least, lunch on Saturday and Sunday was again provided by Robert Ladd and his wife, Chris. This lunch buffet of grilled burgers and dogs, salads and beans, chips and beverages, is always a highlight. Northwest Sport Racing started the contest on Friday with four teams in two heats each and a feature. Doug Powers was the event director. 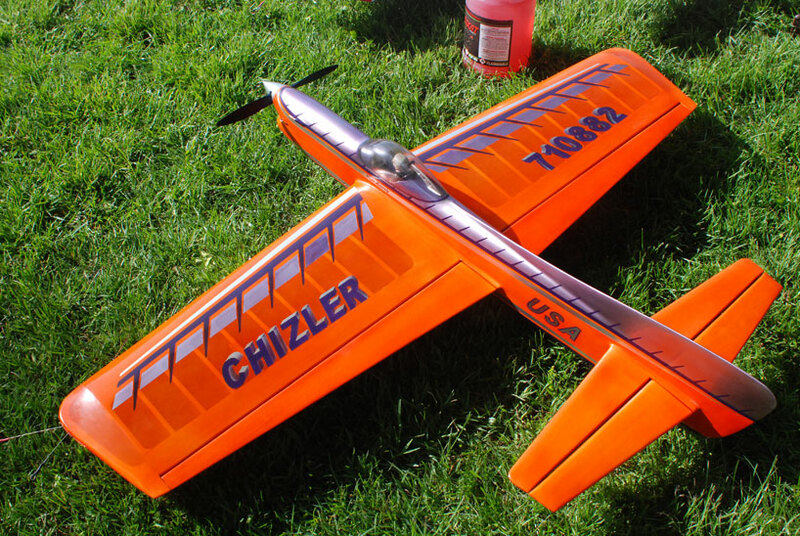 Leighton Mangels, returning to racing after 20 years, flew Doug Powers' OS 25LA-powered, brand new Brodak Super Fly. With only six flights before the event, Richard Entwhistle likened it to grabbing a brand new AR-15 out of the box in Cosmoline and going into combat ... but, as they say, "no guts, no glory," and the plane does show great potential. Powers and Mangels did okay in the first heat, but didn't make the final event. 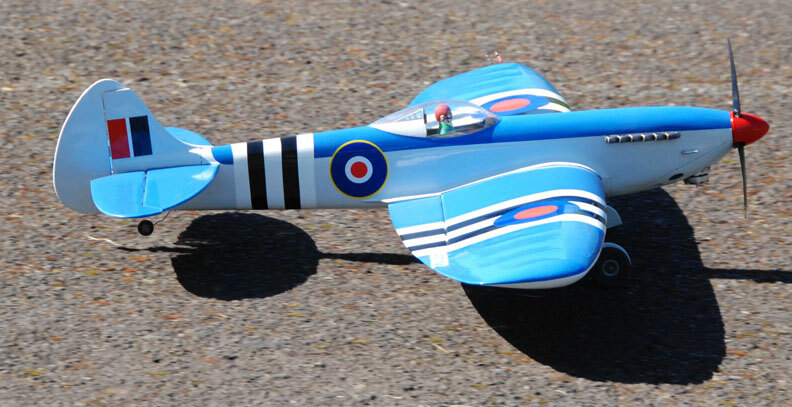 Ken Burdick flew Gene Pape's true classic Fox-powered Ringmaster. 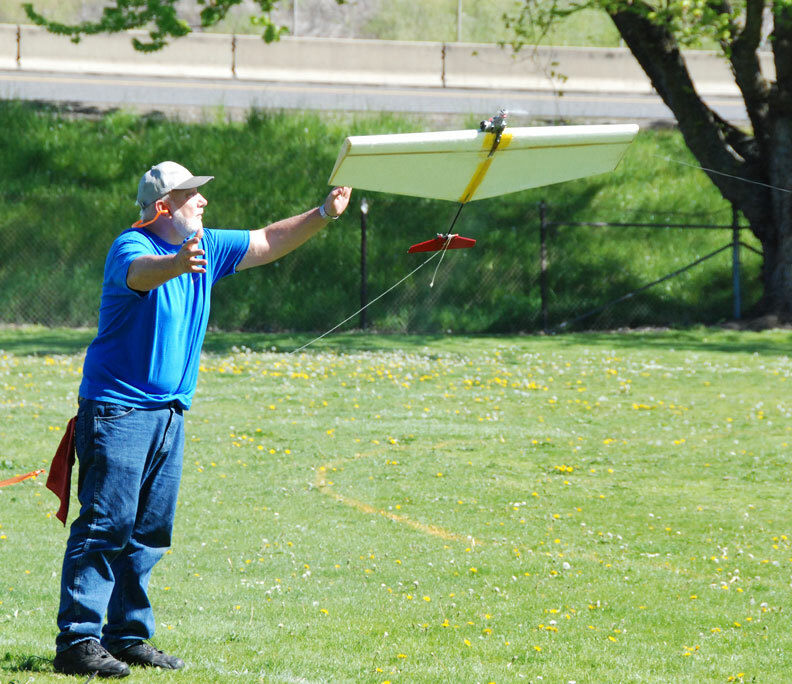 It hadn't been in the air for quite a while, but brought the team in for a third-place finish. 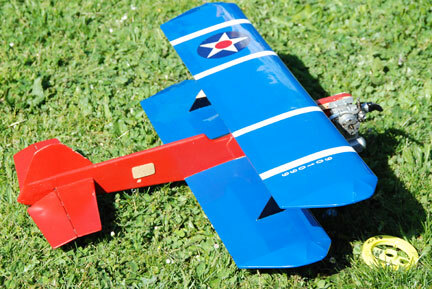 Mike Hazel flew John Thompson's well-worn and proven Fox-powered Super Clown; the team put in their usual stellar Nitroholics Racing Team performance and took a very close second place. 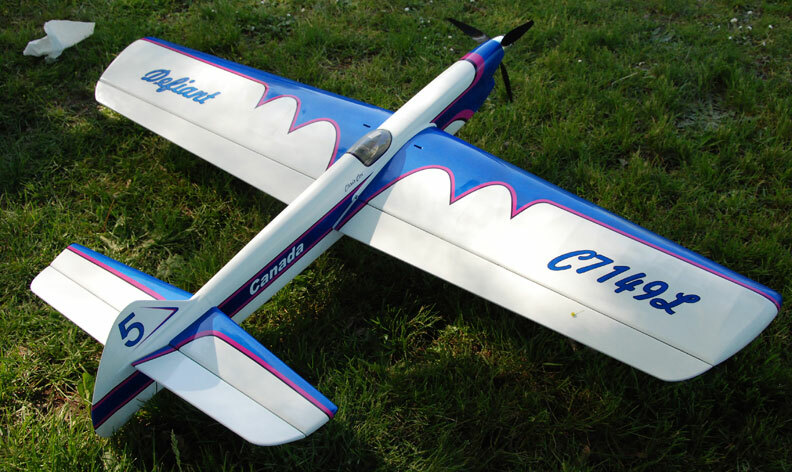 Jim Cameron flew Richard Entwhistle's OS 25LA-powered Brodak Super Fly, built without the cheek and with about 30 flights on it. Richard over-fueled the plane on the first pit stop of the feature event; the plane came in for the second pit stop in the 139th lap, saved from disqualifying by only a few feet. Richard was thrilled to win his first racing event ever. Continuing on Friday, after Clown Racing practice, were two Speed events, both Record-Ratio. Mike Hazel was Event Director. 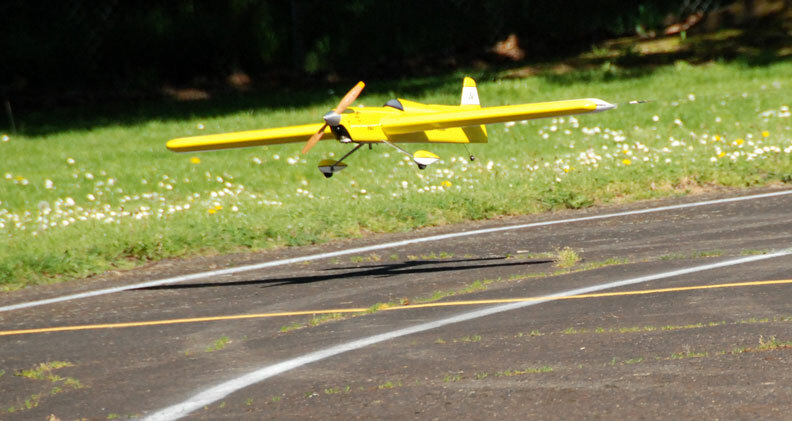 Turnout was lower than some years, with four competitors in Northwest Speed, all flying NW B Proto (which requires use of O.S. LA 25 engines), and two in AMA Speed. 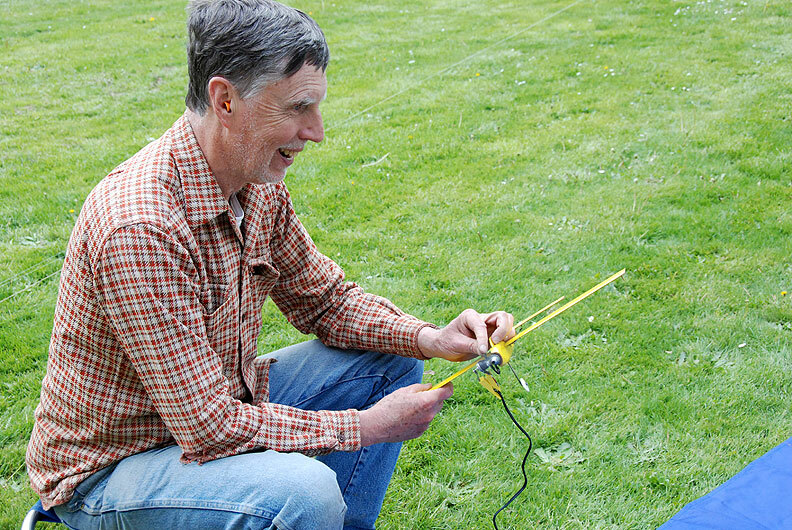 Ken Burdick posted the best record-ratio flight of the day, at 95.7%, in NW B Proto. Gary Harris was Contest Director for three Combat events. 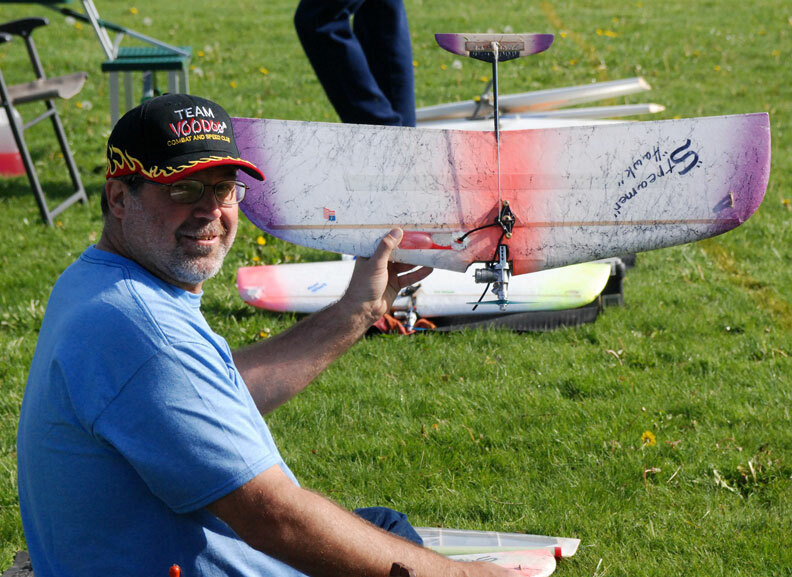 From Gary: We had a great two days of combat competition at the Jim Walker Memorial Spring Tune-Up. 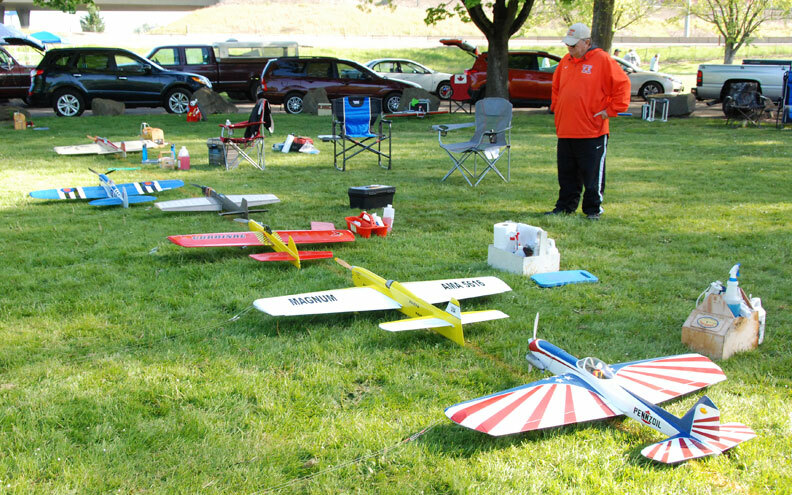 A big thank you to the fliers who came to the contest to compete. I also thank all who helped out with officiating and setup (and take down) at combat; Leighton Mangels, Pat Chewning, Doug Powers, Barbara White, Richard Entwhistle, Darrin Bishop, Bill Lee and Jim Cameron really made everything work smoothly. They all jumped in to create a real team effort! I'm very grateful for the help. 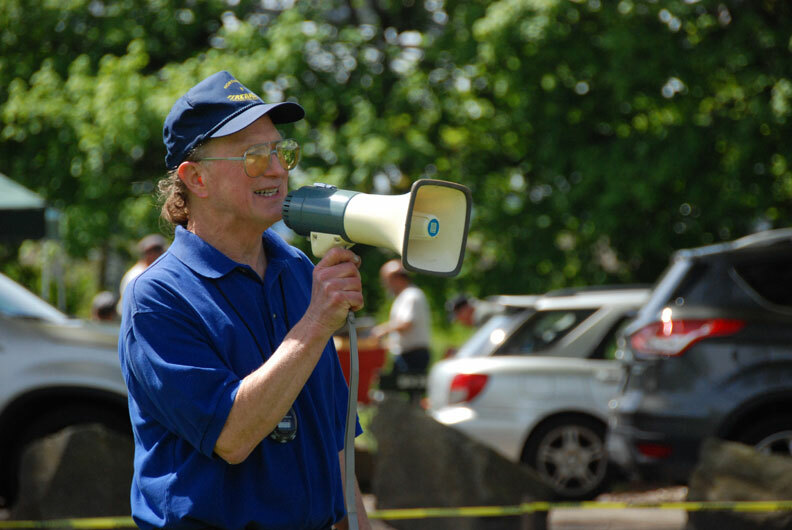 Mike Potter, longtime Navy Carrier Event Director at other contests, stepped in to run Navy Carrier this year at the Jim Walker Memorial. With seven pilots competing in NW Sport 40 Navy Carrier and one in NW .15 Navy Carrier, Mike kept the event running smoothly and the club thanks him for taking this over. Walter Hicks looks over the Advanced Precision Aerobatics pits. The planes are owned by (from left) Floyd Carter, Walter Hicks, Russ Popel, Mike Hazel, Dave Royer and Tom Brightbill Flying Lines photo. 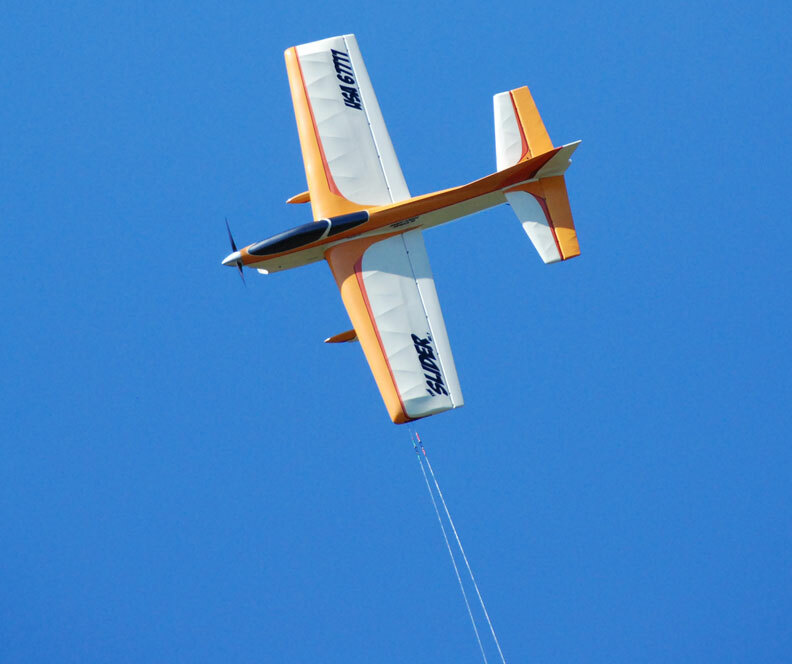 Alan Resinger's Divergent climbs during an Expert Precision Aerobatics flight. Flying Lines photo. 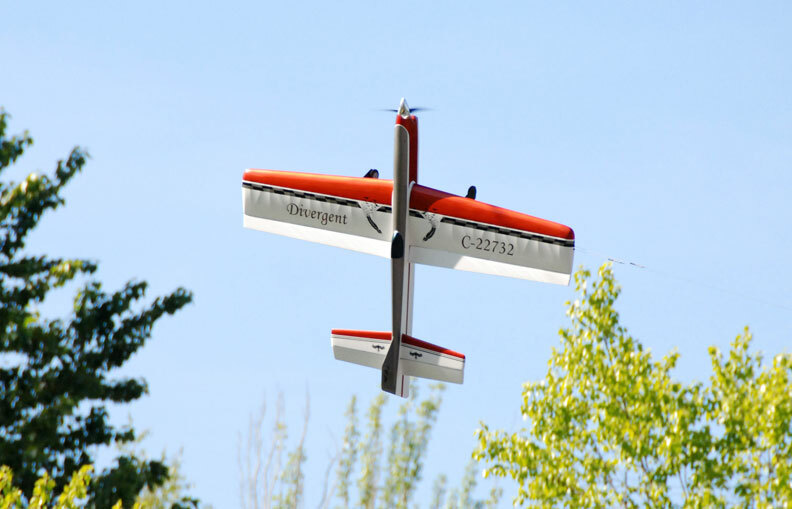 The Divergent glides in for a landing. Flying Lines photo. 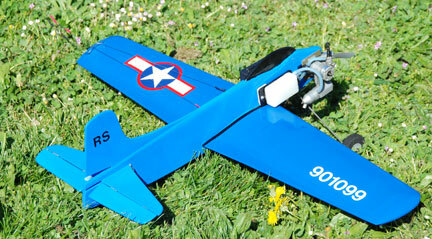 Randy Powell flies his Slider in Expert Precision Aerobatics Flying Lines photo. The recently refinished Slider looks great against the blue sky. Flying Lines photo. Mike and Meiko Haverly take it easy while Mike's fleet awaits action. Flying Lines photo. 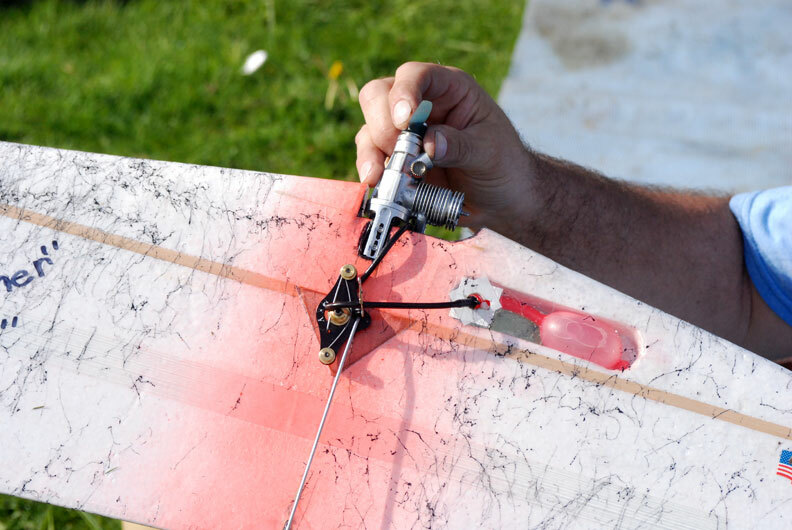 Fred Underwood gets his Similar 2 ready for a flight in Expert Profile Stunt Flying Lines photo. 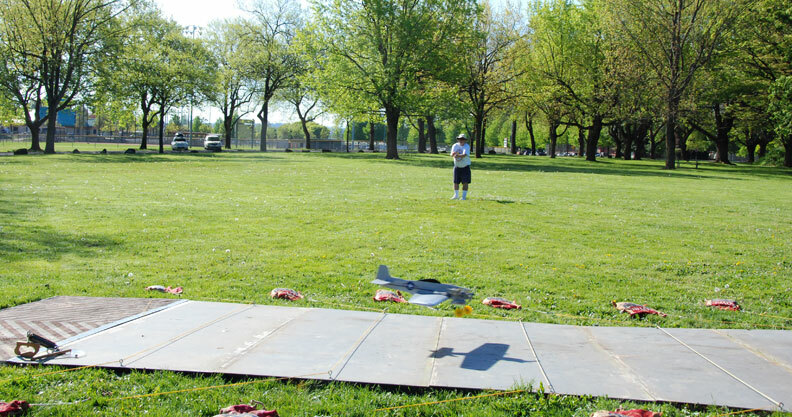 Dave Royer's Magnum glides in for a landing. Flying Lines photo. Walter Hicks' Spitfire touches down (note tail wheel still flying). Flying Lines photo. Can a stunt plane look any better than this? Mike Haverly's Chizler for Classic Stunt has to be seen in person to be appreciated. Flying Lines photo. 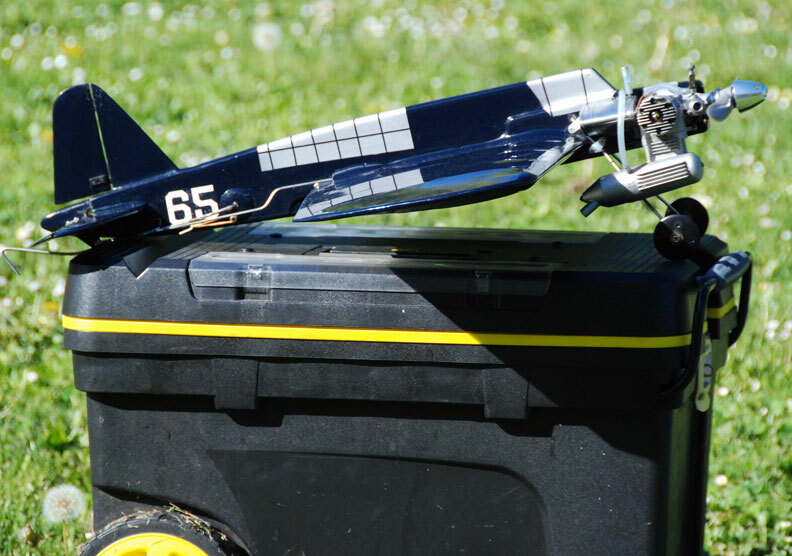 Chris Cox's Defiant for Precision Aerobatics. Flying Lines photo. Floyd Carter likes the accessibility of the upright engine. 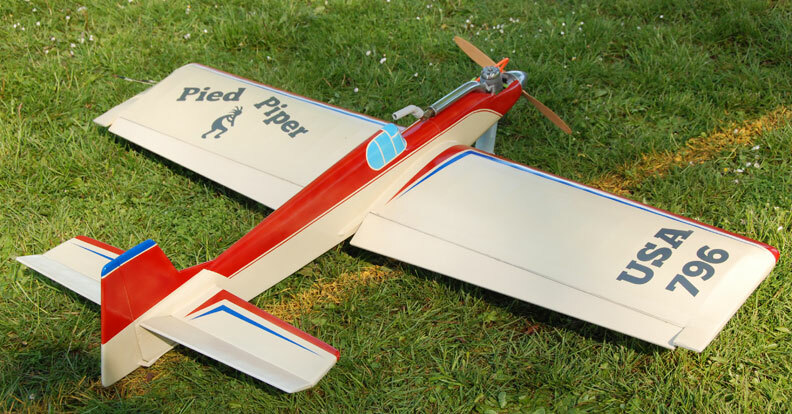 His new Pied Piper uses a big Ro-Jett up front. Flying Lines photo. 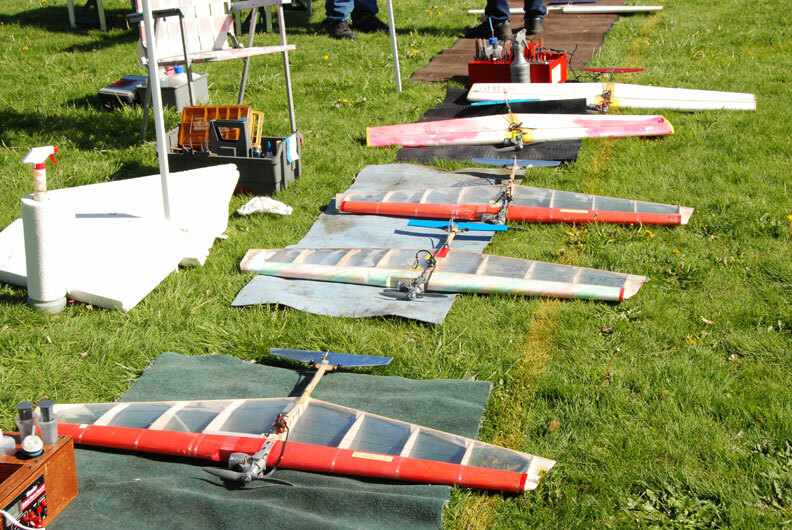 Some of the AMA fast combat planes lined up ready for action. Flying Lines photo. 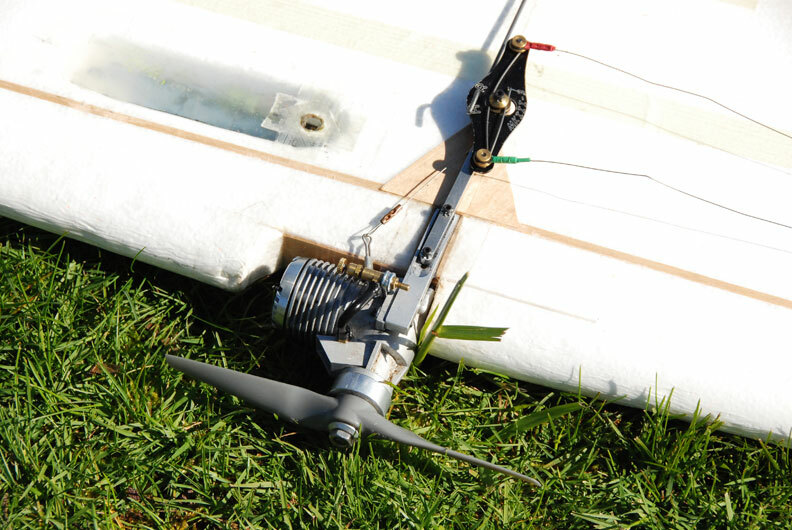 Close-up of Gene Pape's plane shows typical fast combat "business end": Nelson .36, APC 7.8x6 prop, H&R bellcrank/shutoff. Not shown is the bladder tank, which goes into the clear recess in the wing, with fuel line feeding through the bellcrank to the Nelson needle valve assembly. Flying Lines photo. Robert Smith was the man who could not be beaten in Combat at the Jim Walker. Above left, he finishes off Jim Green in the High-Performance 1/2-A Combat finals. At right, he takes out Gene Pape to win 80mph Combat. Robert also won AMA Fast to complete the sweep. Flying Lines photos. Gary Harris led the crew of Combat officials. Flying Lines photo. Gene Pape shows good launch form as he sends Buzz Wilson's 80mph Combat plane up. Flying Lines photo. John Knoppi shows off a Jeff Dawson-built 1/2-A Combat plane equipped with H&R shutoff bellcrank. Flying Lines photo. Close-up of the H&R bellcrank/shutoff now being used in High-Performance 1/2-A Combat. Flying Lines photo. A good turnout of Navy Carrier fliers put in lots of flights. 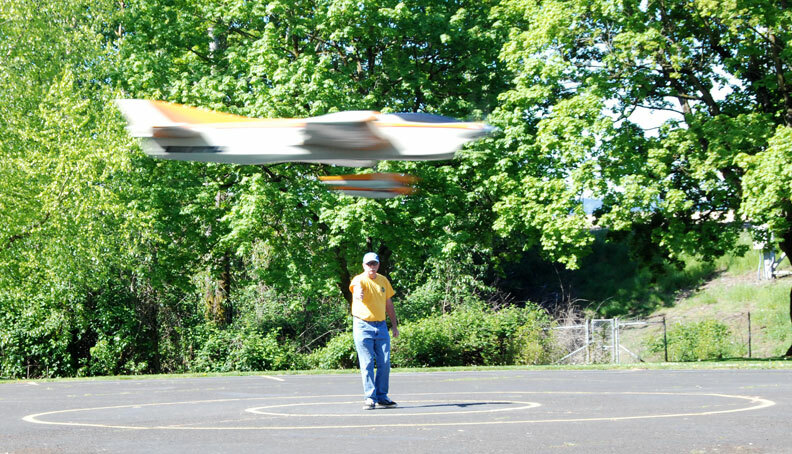 Mike Hazel's Northwest Sport 40 Carrier plane missed this landing; photo shows it on the bounce. Flying Lines photo. 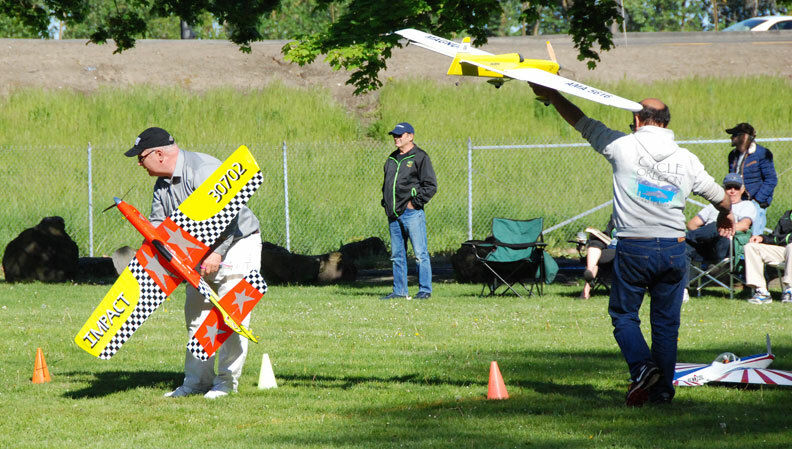 Russell Shaffer had two ofd the nicer looking Carrier planes: On the left, his Skyshark for .15 Carrier; on the right, his bipe for Northwest Sport 40. Flying Lines photo. One of the Northwest Sport 40 Carrier planes on its perch. Flying Lines photo. 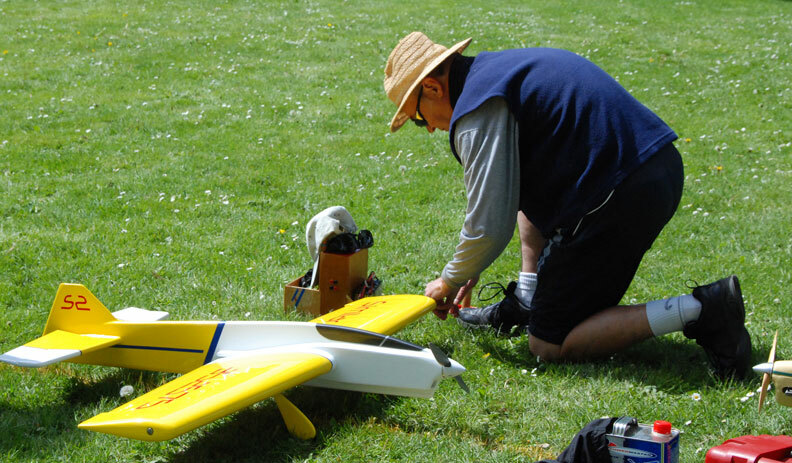 Bruce Tunberg tunes up the engine on his 1/2-A Proto Speed plane. Flying Lines photo. 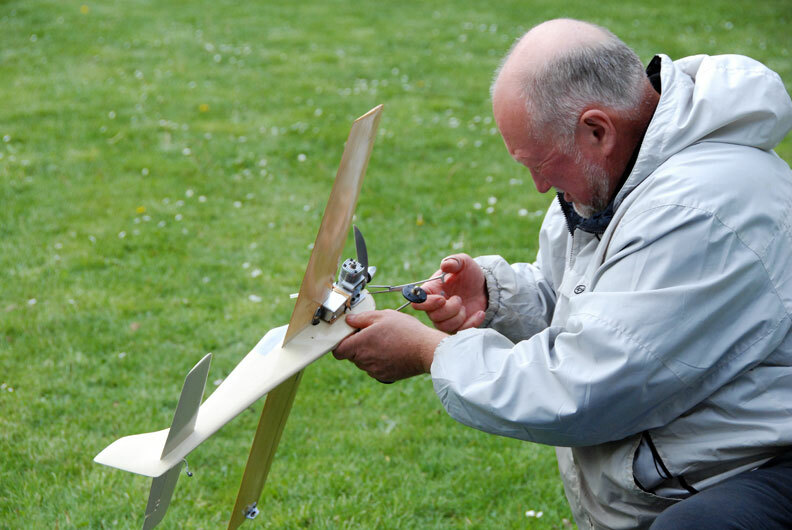 Mike Hazel prepares his Northwest B Proto plane for a flight; all planes in this class use O.S. .25LA engines. Flying Lines photo. 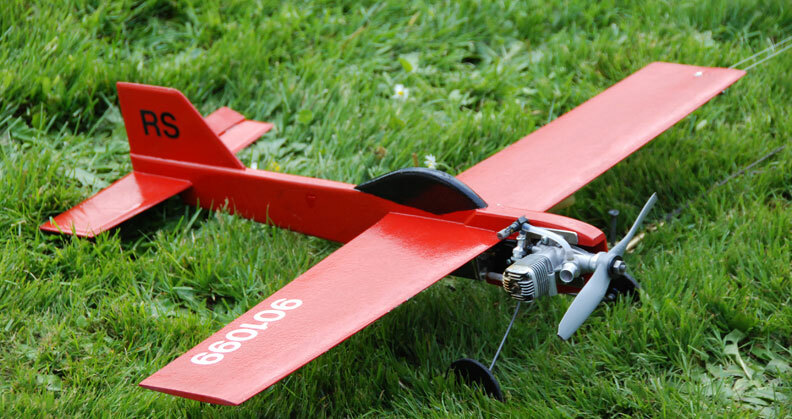 Russell Shaffer's B Proto plane. Flying Lines photo. 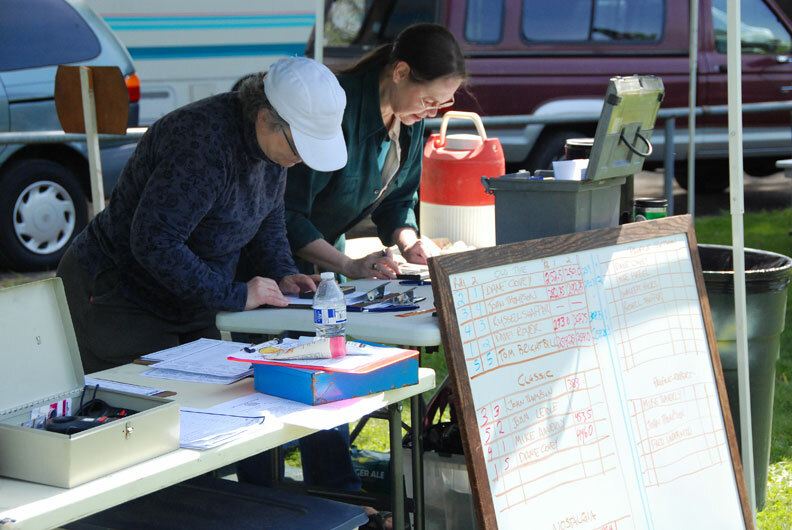 The hard-working stunt tabulation crew, Robin Gearn (left) and Barbara White. Flying Lines photo. 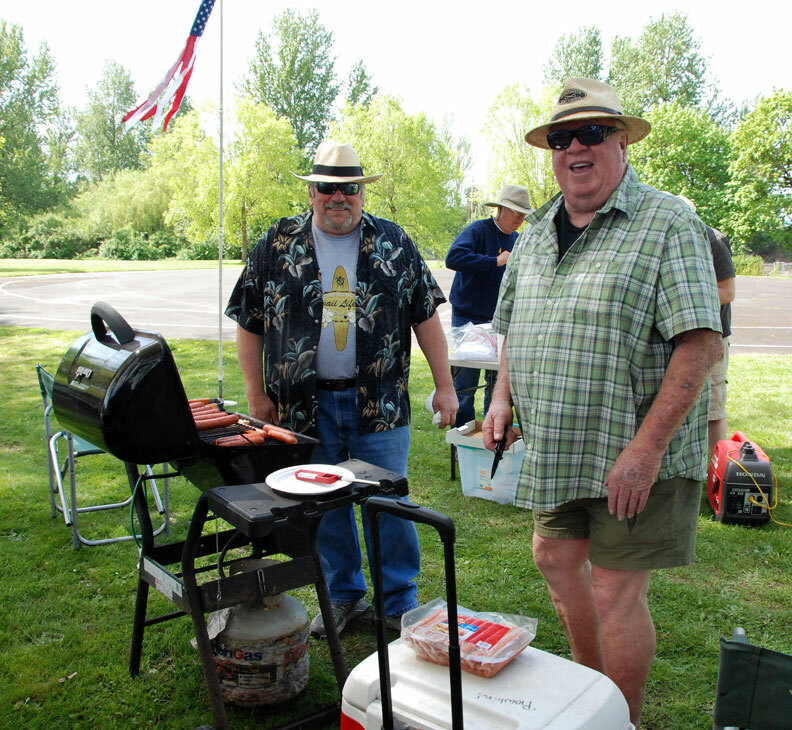 Outstanding lunches were prepared each day by the Northwest Fireballs crew including Robert Ladd (left) and Jim Harper. Flying Lines photo.